Color schemes are essential to the art and design industries! Explore creating different combinations of color schemes with these worksheets. 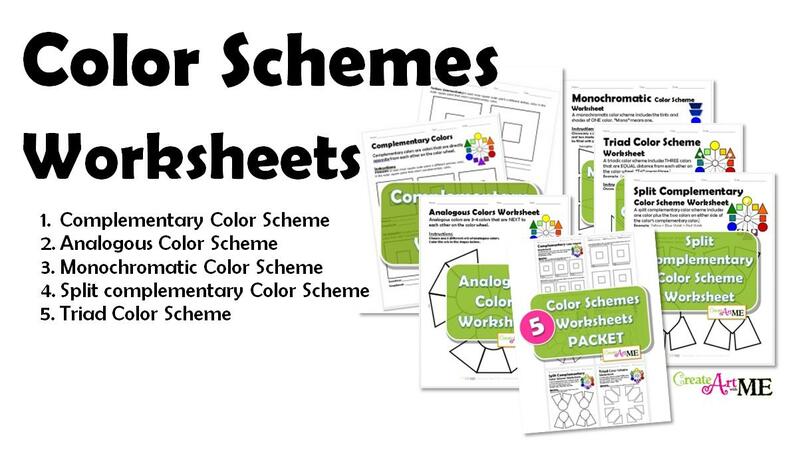 The color scheme worksheets can either be purchased individually or SAVE buying the BUNDLED Color Schemes Worksheets PACKET-5 color scheme worksheets included! Print worksheets on heavy card stock to paint or copy paper for colored pencils, crayons or pastels. NEW Worksheets at the Create Art with ME SHOP!